Your Browser may not be fully supported by our site! Certain features on our site may not be 100% compatible with this version of your browser. We recommend that you upgrade to a newer version or other web browser, or if you are running in "Compatibility Mode" please turn off. Patents and intellectual property that enable the effective transmission, protection and monetization of digital content in any networked environment. The MRT Digital Media Patent Portfolio was developed to enable the effective transmission, protection, and monetization of digital content for public and private sectors. The Portfolio revolves around a core concept called the Controlled Data Pathway, which ensures secure content storage, transmission and presentation. In general, the Controlled Data Pathway inventions describe: (1) activating a compliance mechanism on the client system where the media is being received to be displayed; (2) controlling a data output path of the client system by diverting a commonly used data pathway to a Controlled Data Pathway monitored by the compliance mechanism; and (3) directing the media content to a custom media device for selectively restricting output of the media content. Rigorous independent testing has shown the Controlled Data Pathway to be '100 percent' effective in thwarting digital piracy within a computer network. BlueBeat Music, a subsidiary of Media Rights Technologies, launched in 2003 and offers more than 2.2 million tracks. BlueBeat pioneered simulated sound-alike recordings of previously recorded musical works, called "psycho-acoustic simulations," based on a branch of science that studies the psychological and physiological responses associated with sound. BlueBeat was founded to bring old and degraded recordings back to life; create music in three dimensions to offer a powerful, almost visceral listening experience; and stream the best-sounding music on the Internet. When you listen to your favorite music on BlueBeat.com, something sounds different. That's because BlueBeat songs are brighter, clearer, and fuller than anything you have ever heard. Media Rights Technologies, Inc. (MRT), founded in 2001, develops security technologies and intellectual property that enable the effective transmission, protection and monetization of digital content for entertainment, finance, defense, and education in the commercial and personal sectors. It also protects and monetizes royalties for copyright owners such as artists, filmmakers and songwriters, and safeguards the interests of their partners, publishers and broadcasters. MRT also operates BlueBeat Music (BlueBeat; BlueBeat.com), an Internet broadcast music service. In 1999 MRT Founder and CEO Hank Risan and his business partner, Bianca Soros, launched the Museum of Musical Instruments (MoMI; TheMoMI.org), America's first virtual musical instrument museum. During its first two years of operation, the MoMI presented multimedia exhibitions in conjunction with national institutions and museums including The Smithsonian Institution, the Museum of Modern Art in New York, the Museum of Fine Arts, Boston. During this period, the MoMI also offered one of the first on-demand music services on the Internet. In 2003 MRT launched BlueBeat Music, an Internet music service that transmits sound-alike recordings of previously recorded musical works called 'psycho-acoustic simulations,' based on a branch of science that studies the psychological and physiological responses associated with sound (including speech and music). The primary goals of BlueBeat were to restore 20th century sound recordings that had degraded due to primitive recording technologies, subsequent re-recordings, and the effects of time using MRT's patent-pending simulation process, and to develop a Serial Copy Management System to protect the simulations from piracy and ensure that artists and composers receive due compensation for their works. During the Napster era of the early 2000s, no reliable method of protecting digital content existed. The public believed that copyrighted content should be shared freely and was unwilling to download and install 3rd-party software to control content on their computers. Security methods deployed by Microsoft, InterTrust, Real Networks and Sony required complicated locks located on the content itself. These methods were ineffective once the files were decrypted on the client system and disastrous on the server/storage side due to relatively easy access to decryption keys by hackers. In addition, these methods were not interoperable or cross-platform compatible. To securely distribute the MoMI's original works of authorship and the BlueBeat simulations, Risan, a scientist and mathematician, set out to design, build, and patent a fully secure Content Distribution Network to protect digital content. In 1999 he funded a team of 16 software engineers to embody intellectual property that would enable the effective transmission, protection, and monetization of digital content for record companies, Hollywood studios, financial services companies, and other digital content owners and providers. In 2001 Risan filed the first of more than 125 domestic and foreign patent applications to protect his innovations, which would ultimately comprise the MRT Digital Media Patent Portfolio. The MRT Digital Media Patent Portfolio enables the effective transmission, protection and monetization of digital content for entertainment, finance, defense, and education in the commercial and personal sectors. MRT is also dedicated to protecting and monetizing royalties for copyright owners such as artists, filmmakers and songwriters and protects the interests of their partners, publishers and broadcasters. The MRT Digital Media Patent Portfolio revolves around a patented and copyrighted concept called the "Controlled Data Pathway," which resolves persistent real-world challenges in computer networking such as securing user data during storage, transmission and presentation in the context of a Content Distribution Network. In the late 1970’s, then double-PhD candidate Risan was conducting research in the fields of neurobiology, mathematics and computer science at the University of California at Berkeley and Santa Cruz., which involved significant use of the UC’s mainframe computers and networks. Risan contemplated how the brain organizes unlocked information in networked corridors, preventing the intermixing and garbling of ideas and instructions. He realized that the networked corridors are controlled pathways that are monitored by the central nervous system, which secures both thoughts and instructions. 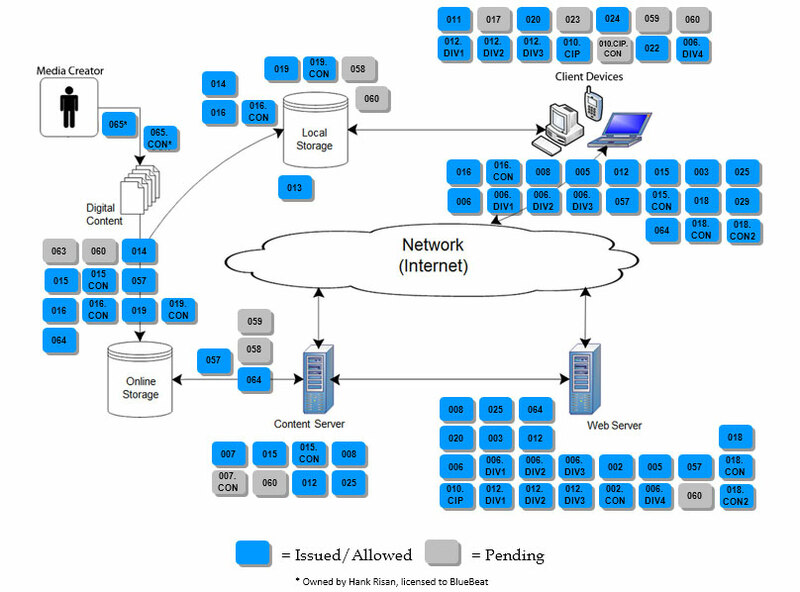 MRT used this model to develop and patent an interoperable Content Distribution Network that incorporates a computer network’s ability to create monitored connections, which securely store, transmit and present any content to networked devices. While all other solutions require cumbersome locks on the transferred data, the Controlled Data Pathway creates a pathway through which encrypted or unencrypted data is transmitted securely. In general, the Controlled Data Pathway inventions describe: (1) activating a compliance mechanism on the client system where the media is being received to be displayed; (2) controlling a data output path of the client system by diverting a commonly used data pathway to a Controlled Data Pathway monitored by the compliance mechanism; and (3) directing the media content to a custom media device for selectively restricting output of the media content. One embodiment of the Controlled Data Pathway involves the downloading of a Web page with an embedded media player from a media broadcaster, secure online banking service, or e-commerce website. The Web page would ordinarily be displayed on a user's computer or mobile device via a commonly used data path with no associated compliance mechanism for enforcing restrictions on copying or use. Security is accomplished by diverting and routing data via the Controlled Data Pathway. In addition, the address and location of the data are time-sensitive and constantly shift and change. The result is maximum speed, flexibility, and utility in all manner of digital distribution. Importantly, this is the most cost-effective means of securely storing and transmitting digital data. After login, a compliance mechanism is automatically installed on the user' computer and the data is transmitted to the user's display via a Controlled Data Pathway monitored by the compliance mechanism. The compliance mechanism enforces the usage restrictions prescribed by the content owner and can also employ preset usage controls, such as session timeouts. 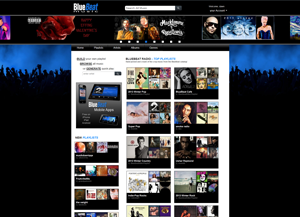 MRT launched BlueBeat Music, an online music service, in 2003. Today, BlueBeat offers more than 2.2 million tracks. BlueBeat was founded to achieve several goals. The first was to restore 20th century sound recordings that had degraded due to primitive recording technologies, subsequent re-recordings, and the effects of time. The second was to develop and patent a Serial Copy Management System to protect the simulations from piracy and ensure that artists and composers receive due compensation for their works. The third goal was to position 'simulated' sounds in a virtual 3-D environment to create a dynamic and evocative listening experience, in contrast with planar multi-track performances typical of studio recordings produced during the last 75 years. Risan pioneered simulated sound-alike recordings of previously recorded musical works, called 'Psycho-Acoustic Simulations,' based on a branch of science that studies the psychological and physiological responses associated with sound (including speech and music). Risan's proprietary and patent-pending simulation technology (a) analyzes and deconstructs original sound recordings into their component parts, (b) creates compositional scores based on the deconstructions, (c) synthesizes replacement sounds, and (d) fixes the sounds in a 3-D virtual sound stage in MP3 format. BlueBeat sound engineers control artist placement and mic'ing to create a dynamic and evocative listening experience for each BlueBeat simulation. Hank Risan is founder and CEO of Media Rights Technologies, Inc. (MRT) and BlueBeat Music (BlueBeat.com), MRT's subsidiary Internet music service, and founder and chairman of the Museum of Musical Instruments (MoMI; TheMoMI.org), America's first virtual musical instrument museum. In 1999 Mr. Risan personally funded a team of 16 software engineers to develop technology that would enable the effective transmission, protection, and monetization of digital content for record companies, Hollywood studios, financial services companies, and other digital content owners and providers. 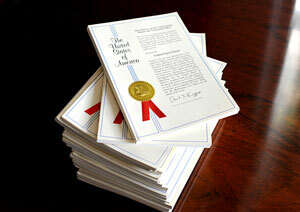 In 2001 he filed the first of more than 125 domestic and foreign patent applications to protect his innovations. Today the MRT Digital Media Patent Portfolio revolves around a core concept called the Controlled Data Pathway, which resolves persistent issues such as securing digital content during storage, transmission, and presentation in the context of a Content Delivery Network. Mr. Risan started BlueBeat Music in 2003 to restore and perform 20th century sound recordings that had degraded due to primitive recording technologies, subsequent re-recordings, and the effects of time. He developed proprietary technologies to produce sound-alike recordings of previously recorded musical works called 'psycho-acoustic simulations,' based on psychoacoustics, a branch of science that studies the psychological and physiological responses associated with sound. Mr. Risan also developed and patented a Serial Copy Management System to protect the simulations from piracy and ensure that artists and composers receive due compensation for their works. BlueBeat Music now offers more than 2 million tracks that run the full gamut of musical tastes, from Medieval Gregorian chants and ragtime to today's pop hits. Mr. Risan studied architectural theory and design with noted critic, author, and art historian Reyner Banham, and continues to place great emphasis on restoration, preservation and conservation. As founder and chairman of MoMI, he has played a central role in fostering the appreciation and preservation of historic musical instruments by collaborating in large-scale exhibitions with the Smithsonian Institution, the Museum of Fine Arts, Boston, and the Museum of Modern Art, New York. Mr. Risan began collecting vintage Martin guitars at age 16 and has assembled a vast collection of the finest examples of 19th and 20th century fretted instruments. The Hank Risan Collection, featured at TheMoMI.org, includes an 1835 Martin guitar that accompanied Mark Twain throughout his life. Mr. Risan is also an avid collector of fine art and memorabilia. He owns two Maltese falcon props from the 1941 film of the same name and is a leading collector of works by the British graffiti artist and satirist, Banksy. A mathematics and science prodigy, Mr. Risan received a National Science Foundation Award in Mathematics at age 21 for research in the field of low-dimensional topology. Between the ages 16 and 25, Mr. Risan was invited to work in math and science departments at universities throughout the U.S. and Europe, including Stanford, Harvard, Princeton, and the Sorbonne in Paris. During the 1970s, Mr. Risan studied advanced mathematics for two years at the University of California, Los Angeles and earned bachelor's degrees in mathematics (with Honors) and biology from the University of California, Santa Cruz. His undergraduate thesis in neurobiology concerned the network topology of the human brain. Mr. Risan concurrently attended Ph.D. programs at UC Santa Cruz and UC Berkeley, where he was Phi Beta Kappa, in mathematics and neurobiology. At UC Santa Cruz, Mr. Risan taught advanced mathematics and used supercomputers to solve theoretical mathematical, biomedical, and psychoacoustic research problems using simulated computer modeling. Mr. Risan completed his Ph.D. dissertation at Cambridge University, England, and he attended graduate-level business courses at the London School of Economics. Bianca Soros co-founded Media Rights Technologies (MRT) and the Museum of Musical Instruments (MoMI; TheMoMI.org). With the MoMI, Ms. Soros played a key role in producing collaborative exhibitions with major museums including the Smithsonian, the Museum of Modern Art, New York, and the Museum of Fine Arts, Boston. 'The Guitar is Art: Rhythms or Art and Design in the 20th Century,' an online exhibition produced by the MoMI in collaboration with the Museum of Modern Art, New York, explored the relationship between fine art and the guitar. 'Dangerous Curves: Art of the Guitar,' a MoMI exhibition displayed at the Museum of Fine Arts Boston, traced the design and evolution of the guitar, from Baroque to Modern. Ms. Soros has written extensively about important acoustic guitars. Her work has aired on National Public Radio (NPR) and was published in Guitar Player, Acoustic Guitar, 20th Century Guitar, Strings, Guitar Graphics, and Vintage Gallery magazines. Her photographic compositions have also appeared in numerous publications, including Martin Guitars: An Illustrated Celebration of America's Premier Guitar Maker. In 1996, Ms. Soros worked with the FBI to establish the provenance of a previously-unknown Renoir, which led to its recovery. Ms. Soros received a Bachelor's Degree in Art History from the University of California, Santa Cruz (UCSC), specializing in the 19th and 20th centuries. She also earned a graduate certificate in advanced computer graphic design and production at UCSC. Ted Fitzgerald brings more than 25 years of diverse IT experience to his role as Chief Technology Officer at Media Rights Technologies (MRT). Early in his career, Mr. Fitzgerald was instrumental in establishing IT foundations for numerous companies. During the 1970s, he built advanced 8080-based Heathkit computers while earning an undergraduate degree in Molecular Biology. Later, he participated in the development of the first 32-bit gaming system as IT Department Head at Crystal Dynamics. Mr. Fitzgerald was an early pioneer of database-driven programs, which he created to oversee and track customer and project management functions for large data-driven companies such as Fisher Investments and KPMG. As a Senior Programmer at ClickAgent, a top-tier Internet advertising company that later merged with ValueClick, Mr. Fitzgerald architected state-of-the-art high-volume infrastructures and software delivery systems. For MRT and its subsidiary, BlueBeat Music, Mr. Fitzgerald has integrated cutting-edge multimedia technologies and helped develop patented methods of providing content management and enablement solutions. He remains active in the design and development of MRT's broad intellectual property catalog. Mr. Fitzgerald holds a Bachelor's Degree in Cellular and Molecular Biology from California State University, Fullerton. Copyright © 2013 Media Rights Technologies, Inc.. All rights reserved.